Omega Mu Zeta Chapter was chartered on May 24, 2012 by Ruby L. Cockett, Denise Davis-Smith, Tenisha L. Fort, Trina Goodwin, Jorelle Green, Natalie Harris Myers, Ayesha Patrick, and Michelle Van-Ess. Omega Mu Zeta Chapter services the following Middlesex County communities: Cranbury, Dayton, East Brunswick, Helmetta, Highland Park, Jamesburg, Kendall Park, Middlesex, Milltown, Monmouth Junction, Monroe, Morgan, North Brunswick, Old Bridge, Parlin, Perth Amboy, Plainsboro, Sayreville, South Amboy, South Brunswick, South River, Spotswood. Omega Mu Zeta started its auxiliaries on January 19, 2013. High School-aged young ladies who demonstrate an interst in the goals and ideals of scholarship sisterly love, and community service. Archonettes groups are affiliated through local chapters. The Zeta Archonettes where founded under the wonderful women of Zeta Phi Beta Sorority, Inc. in 1950. The young ladies in this organization range from the ages of 14 to 18. The Archonettes are under various chapters of Zeta Phi Beta. The purposes of the Zeta Archonette Club are to encourage the individuals to accept responsibility, develop new interests, work toward creating happiness for others, develop an awareness of the need to share responsibilities and to understand one another in order to achieve a common goal. We want to develop the club members by providing them with an opportunity to make responsible decisions, to develop confidence and to relate to their peers, parents and to adults in general. 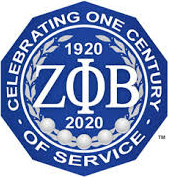 Girls 9 to 13 years of age who are willing to strive toward the high ideals of Zeta Phi Beta Sorority and who demonstrate potential for leadership in service to the community. They were first formed in the 1950's. Girls under 9 years old who are mentored by ladies of Zeta Phi Beta Sorority, Inc. to become outstanding leaders in their community. The Pearlettes were adopted by Zeta Phi Beta Sorority, Inc. as a National Youth Auxiliary during the 1994 International Conference (Orlando, Florida). As early as 1940, graduate chapters of Zeta Phi Beta began to realize the importance of the prestige, good will and cooperation of women who, for various reasons, were not members of any Greek letter organization. The first Amicae chapter was organized in Omaha, Nebraska in 1947 making Zeta the first sorority in the national Pan-Hellenic Council to organize an auxiliary group. 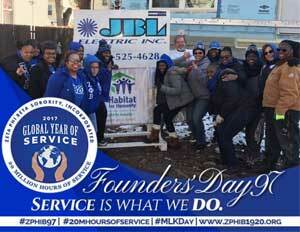 Zeta Amicae are affiliated through local chapters of Zeta Phi Beta Sorority, Incorporated. These members were women who were impressed with Zeta’s programs and their objectives but did not meet the qualifications for Sorority membership which would include a college degree. All of them were fine and outstanding citizens, religiously oriented and conscious of the needs of their communities. They rendered valuable services to the chapters and the communities and served as incentives for other cities to attempt similar organizations. On July 26, 2014, the Zeta Amicae of Middle and Southern Middlesex County were chartered by 7 women. We were the 9th Zeta Amicae auxiliary in the state of NJ and we are proud to be called "Friends of Zeta". Interested in reclaiming or becoming a new member?